CELLULAR ANTI-AGE SKIN REJUVENATION NIGHT CREAM by NIVEA, provides recovering and refreshing night skin care, with anti-age effect. 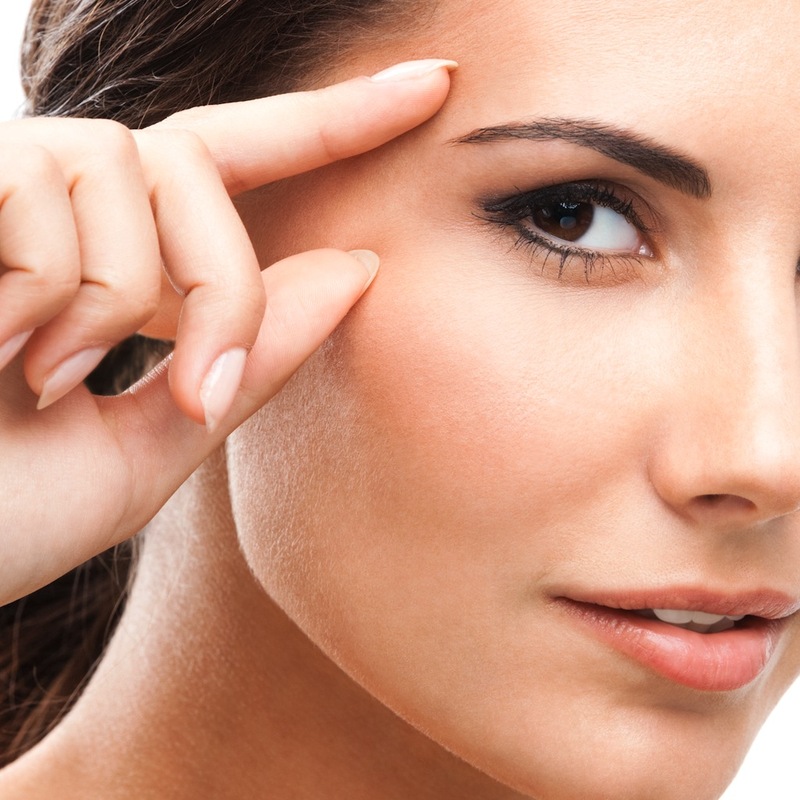 It's very good option, if you want to make one refreshing course for your skin from 2 weeks. CELLULAR ANTI-AGE SKIN REJUVENATION NIGHT CREAM is especially targeting the problems of the mature skin, providing rejuvenation and recovery it, on a cellular level. 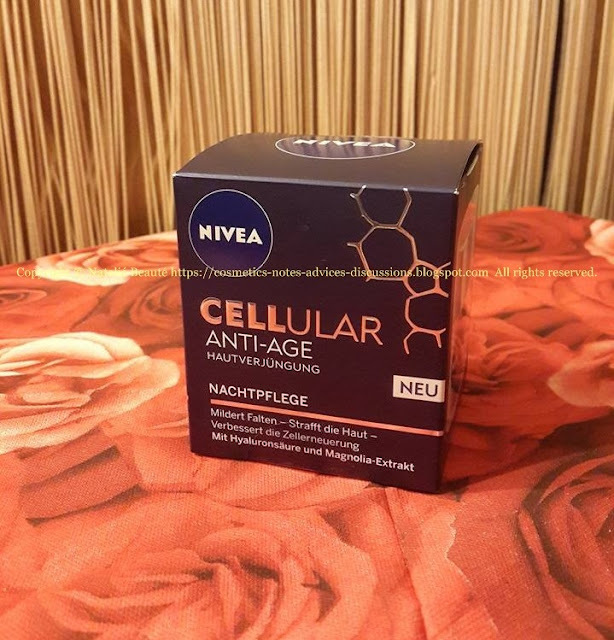 For this purpose, NIVEА have developed whole range of products. At the end of the day, our skin is tired and needs cleansing, relaxing and recovering. 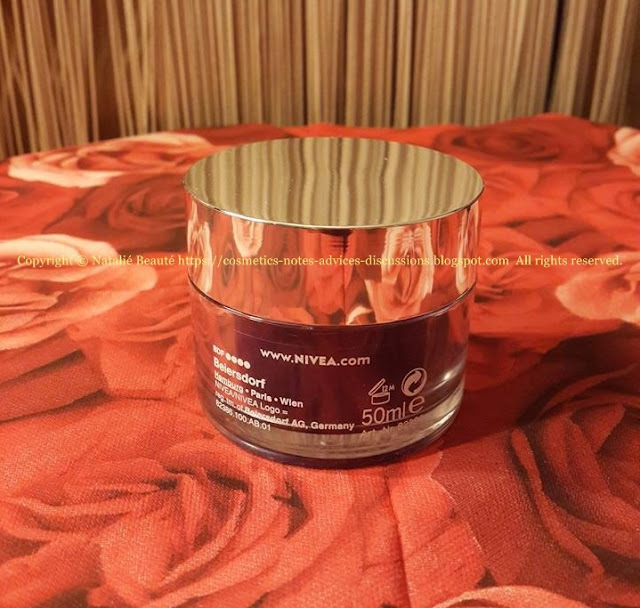 As a last part of our usual evening skin care routine ritual, we are applying night cream. 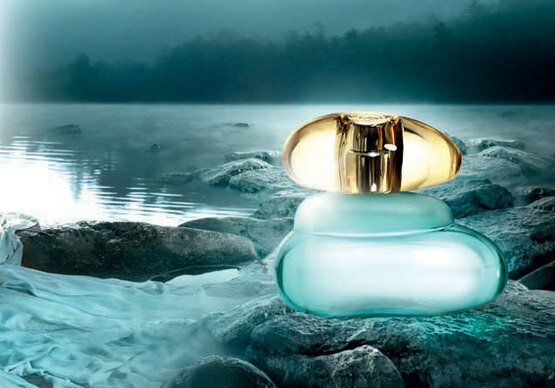 It's very important to make good choice - product, from good brand, consistent with the the specificity and all of our skin needs, at this present moment. According to the description and the ingredients list of this particular product, I decided, that I must stop my attention to this Night Cream from NIVEA. 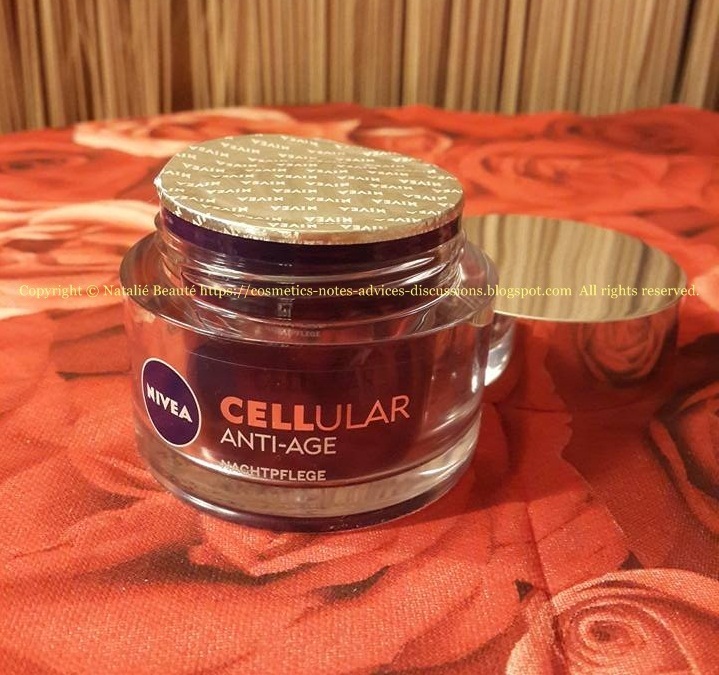 NIVEA Cellular Anti-age Night Cream reduces fine lines and wrinkles and improves skin's firmness and renewal. Skin is replenished with intense moisture and leaves skin feeling smooth and silky. 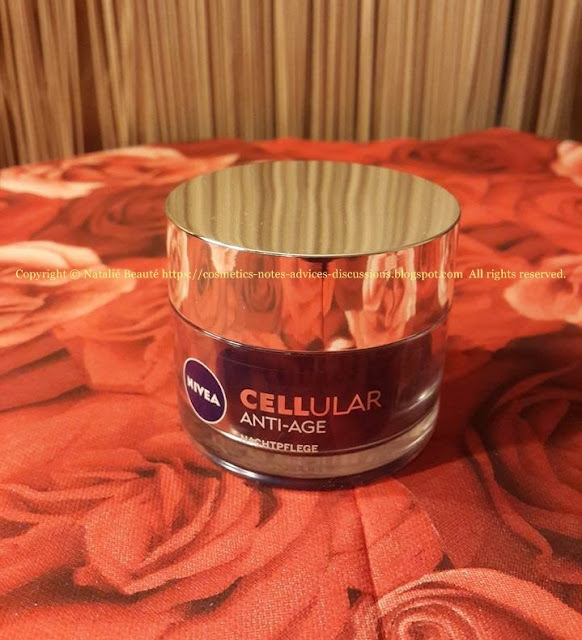 With regular use, this formulation works to accelerate the skin's own regeneration process - an indicator of cellular vitality and youthful skin. 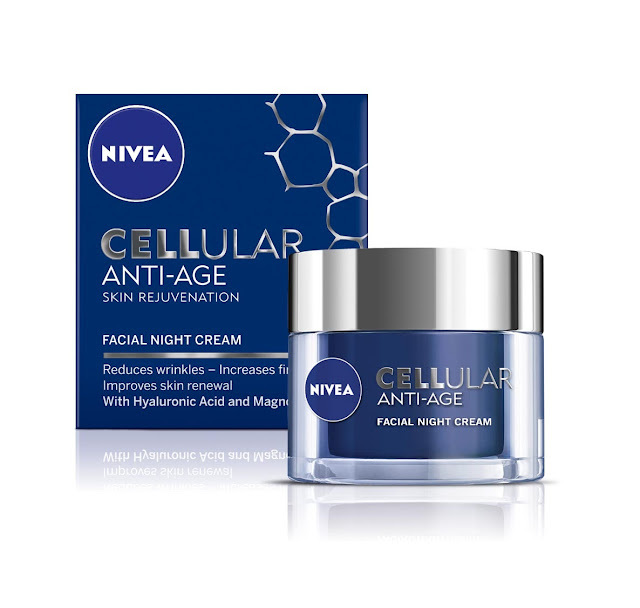 This nourishing formulation works during the night to support skin regeneration. The rich texture of the night cream melts into the skin and is quickly absorbed, skin is immediately left feeling smooth and refreshed. The SPF UVA & UVB system helps to protect skin from UV-induced photo-aging, cell damage and age spots. 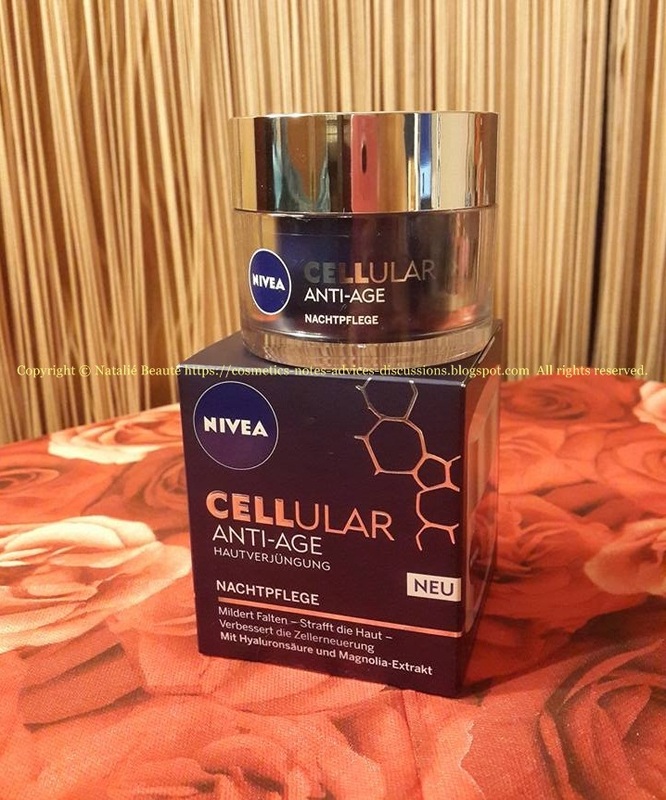 Skin feels smooth and silky"
The active ingredients are Hyaluronic Acid and Magnolia Extract. 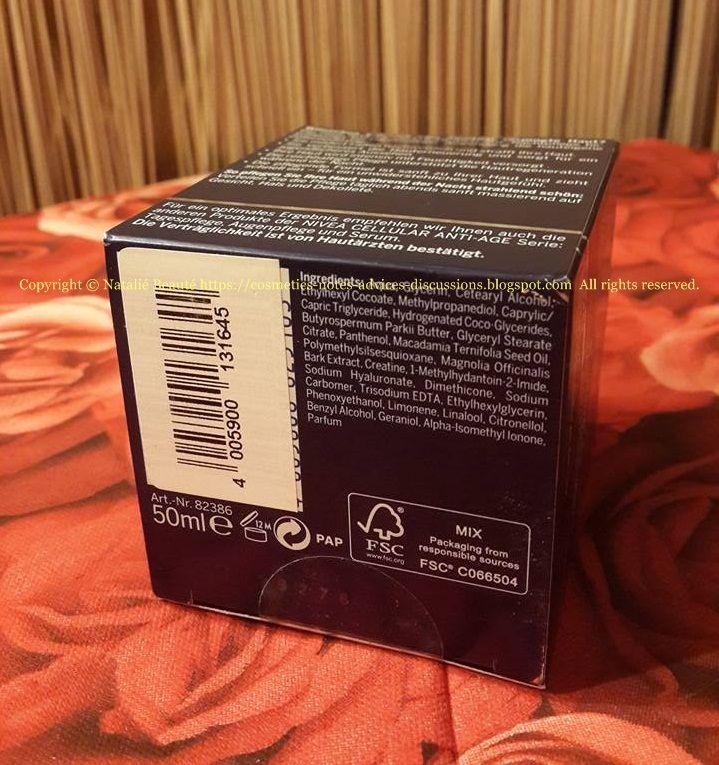 The skin absorbs this cream very well, leaving thin protecting film. The relaxing and nourishing effects are visible immediately. The product is coming in paper box, sealed. In some countries, the sealed box can be surrounded by additional paper cover with the same design, as the original box, but with the actual language translation. The amount is 50 ml. This product does, what it claims to do. Already the next morning, the skin looks refreshed and well nourished. There is visible positive difference. 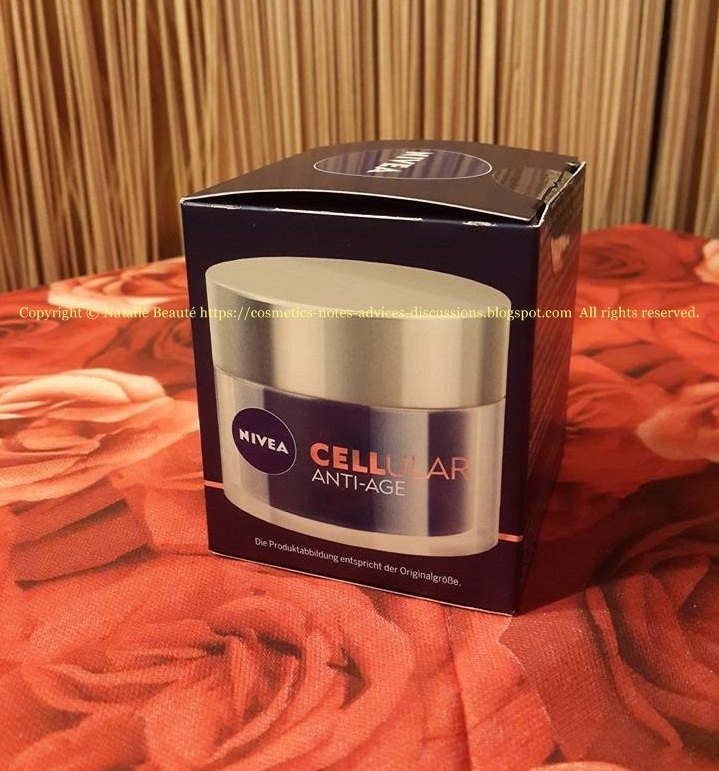 It has high skin tolerance to all types of skin and ages. 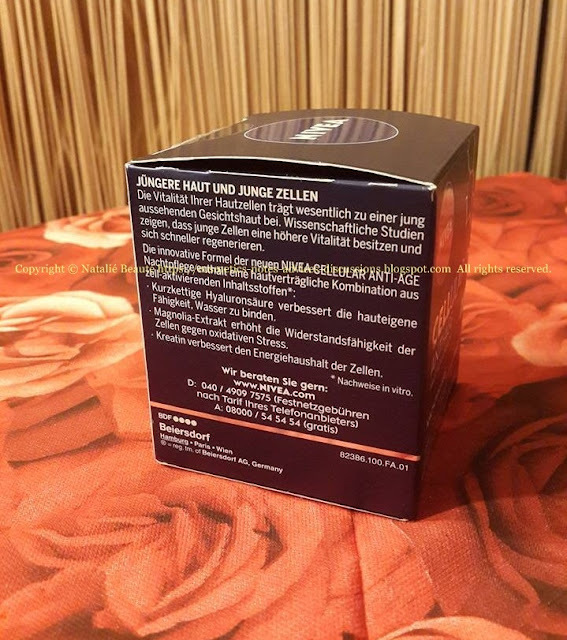 Yes, it's suitable for all age ranges - when the first fine lines become visible, you can start to diminish this process, by using appropriate for this problem, product. P.S. 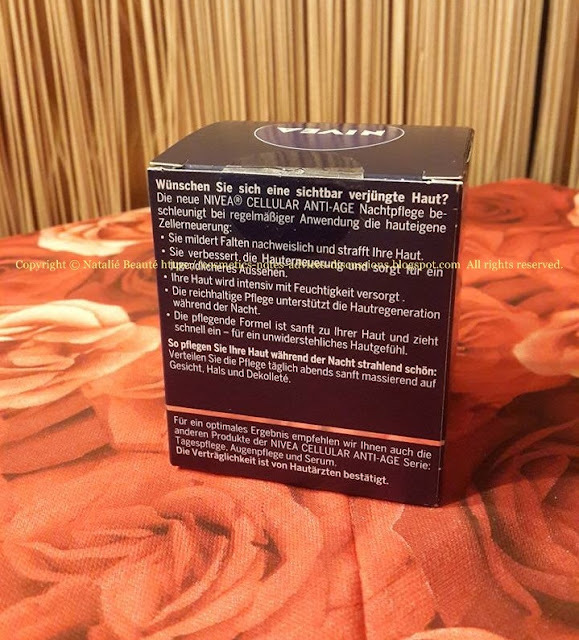 - Never forget to make skin test, before using new product!